Lego's long been beloved across the world - but a monstrously successful year for the Danish company has now seen them overtake Mattel as the biggest toymaker by sales in the world. 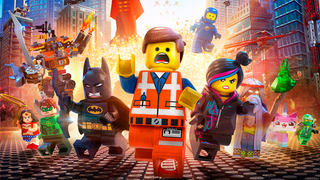 The company's first-half results, released last week, showed a sales increase of 11% - bolstered by the huge success of The Lego Movie in February, as well at the launch of a range of Lego sets based on it - to 11.5 Billion Kroner (that's roughly $2 billion dollars). Net profit rose to 2.7 billion Kroner, which edged The Lego Group past Mattel. In a bid to compete with Lego, Mattel bought out rival plastic brick brand Mega Bloks earlier this year, but disappointing sales for Barbie dolls have seen profits decline. Lego themselves say the story's far from over though - they make the majority of their sales in the run up to Christmas, so the company's lead could be extended by the end of 2014. Still though, think of all the Lego bricks out there in the world now. That's a lot of chances to step on one when you're not wearing any shoes.